About 5:30 pm on Friday, June 19, Watefront Toronto organizers and staff started preparing for the Queen’s Quay Opening slated for 6 pm at the Simcoe WaveDeck. 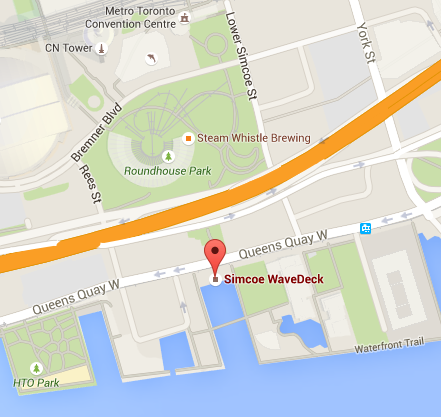 The screen shot below shows the location of the Simcoe WaveDeck. 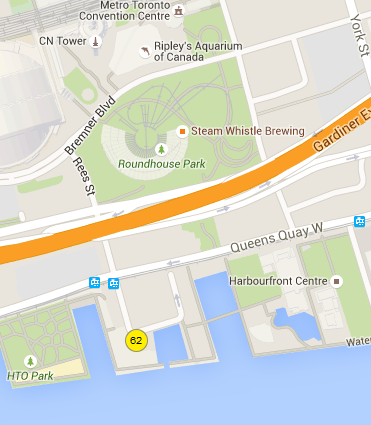 The next screen shot shows the location of the WebTrak 5 monitor – the yellow circle containing the number 62. 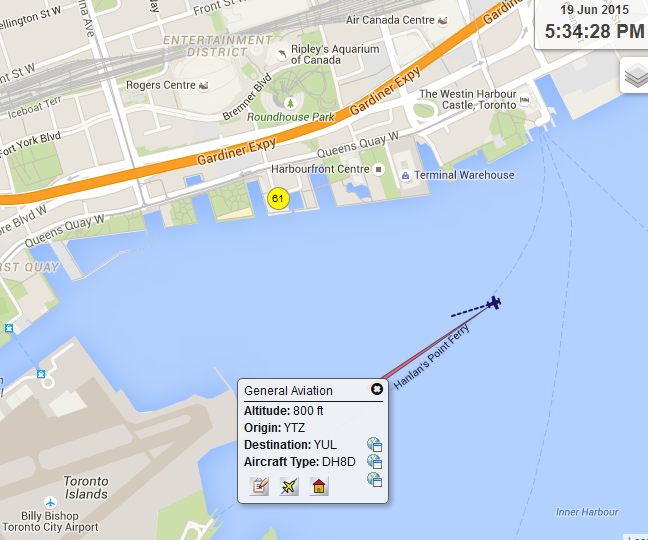 The WebTrak monitor registers the location, type, noise level and time of flights departing and arriving at Billy Bishop Toronto Centre Airport (BBTCA) as they fly over the bay. Its proximity to the Simcoe WaveDeck suits it perfectly to record the activity of flights before and after the 6 pm Waterfront Toronto ceremonies, an event at which Mayor John Tory spoke. Anyone who has spent much time on the central waterfront will be familiar with the noise levels coming from the planes departing and landing at the BBTCA. NOW magazine recently cited one person’s experience. It’s not difficult to imagine Mayor Tory’s embarrassment if his speech was interrupted by a noisy Q400 flown by Porter Airlines, the company that wants to bring equally noisy jets to the waterfront. Ironically, the wind direction at that time, east to west, meant the sound of aircraft taxiing to take-off position was blown away from the proceedings. The wind direction also meant aircraft leaving BBTCA would fly over the bay and past the ceremonies, as this Air Canada screenshot departure shows. When faced with a delicate situation like this, what can an airport expansionist do? 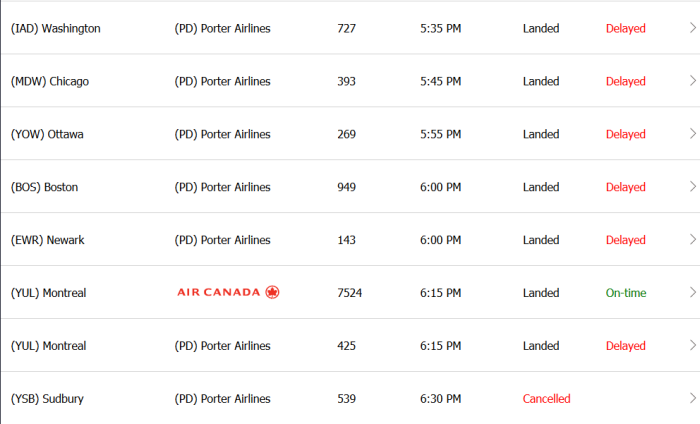 One possible solution may be found in the screenshot from FlightStats.com of Porter’s schedule for the 5:30 to 7 pm time slots when the Waterfront Toronto opening ceremonies would be most affected. Note: Registration with FlightStats is required in order to access the historical record. Of course other explanations are possible for delays and cancellations: computer glitches, staffing difficulties, weather and mechanical problems or the ever-useful technical difficulties.